Westwood is an attractive, well presented light, spacious semi detached holiday home situated in a peaceful, tree-lined road within easy level walking distance of the beach and all amenities. It has an open fire in the living room, parking for four cars and a large private rear garden. 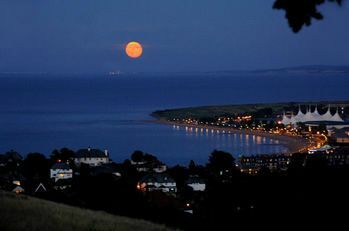 Westwood provides an ideal base for all types of holiday, either a peaceful relaxing break, or a more active holiday. Another plus for this property is its location. There is always plenty to do, come rain or shine. The list of activities close by is endless. Yachting, wind surfing, sea fishing, golf, horse riding, walking, cycling, health club providing sauna, jacuzzi and tanning facilities, pubs, restaurants, clubs, shops, parks, amusements, Somerset World (Butlins), steam railway, fetes, shows and annual events such as the Dunster show, raft race and Watchet carnival weekend, theme parks and lots more. 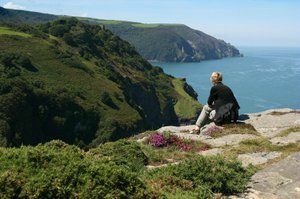 It is also a perfect base for exploring Exmoor National Park. 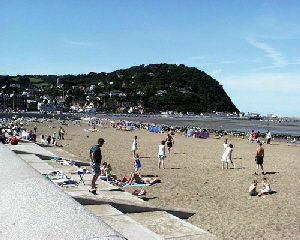 A lovely, three-storey house, in a quiet residential area, a short stroll from the seafront in the pretty resort town of Minehead. The accommodation is suitable for families and larger groups (i.e two families), please check conditions if booking as a group. There are five double bedrooms and one twin bedroom accomodating up to twelve people. 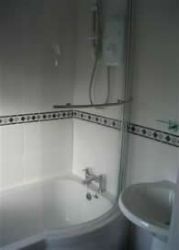 There are two en-suite bedrooms that have a full size bath with shower over, toilet and basin. 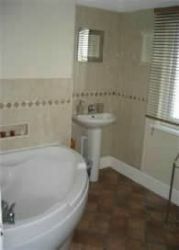 Three further double bedrooms (one on the ground floor). There is also a twin bedroom making a total of six bedrooms. The living room has an open fire and the dining room as a gas fire making it cosy during the winter months. Full gas central heating, gas fire in dining room. Electric range style cooker with double oven, microwave, fridge, freezer, washing machine, dishwasher, colour TV with Freeview, DVD, radio. Small library of books. All fuel & power inc. in rent. Bed linen & towels inc. in rent. Travel cot, highchair & stairgate on request. Enclosed lawned garden with patio, furniture, BBQ & pond, 2 well behaved dogs welcome at £10 per dog per week. Sorry no smoking. Shop & pub 10 mins walk. Please ask for details if you have any particular stay request. 10% discount on all 2 week bookings. 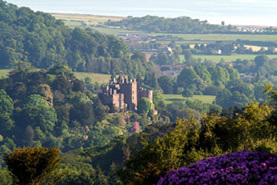 25% reduction for short term bookings i.e three/four nights. 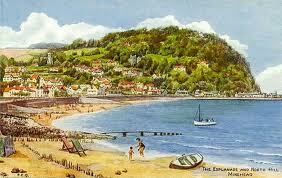 Weekend or mid week break bookings must be for a minimum three nights, i.e Friday to Monday or Monday to Friday. Supplement charge of £10 per pet. 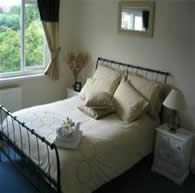 "We would love to come and stay here again" - Mrs C Annesley, Enfield. "Thank you for our stay in your beautiful house 'Westwood'. A real gem set in the crown of the South-West" - Mr & Mrs J Hayes, Nottinghamshire.